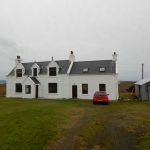 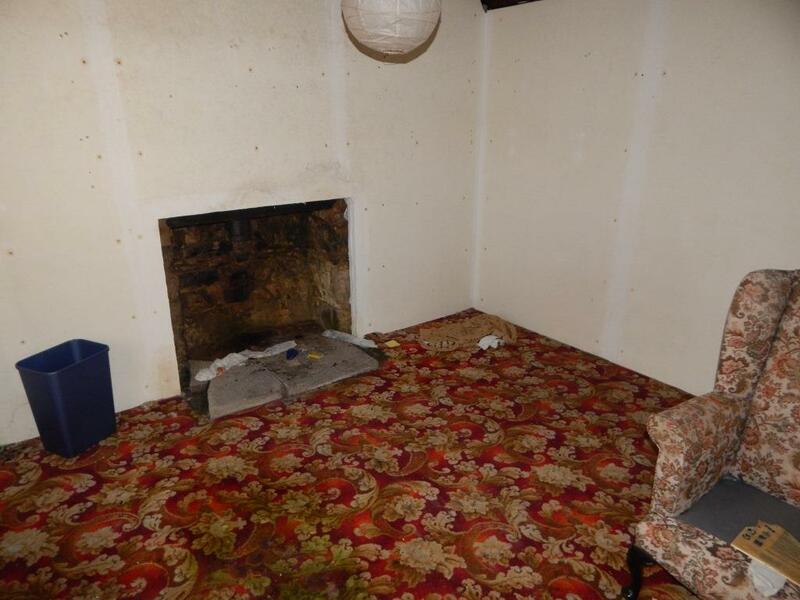 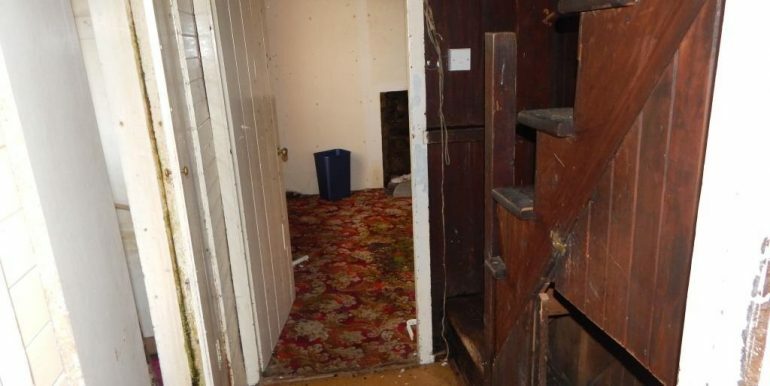 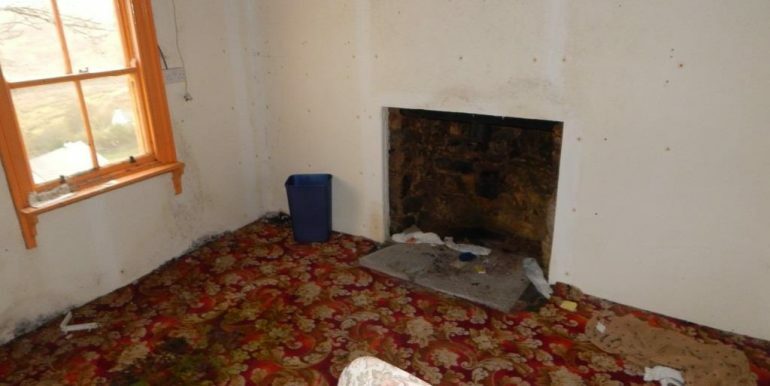 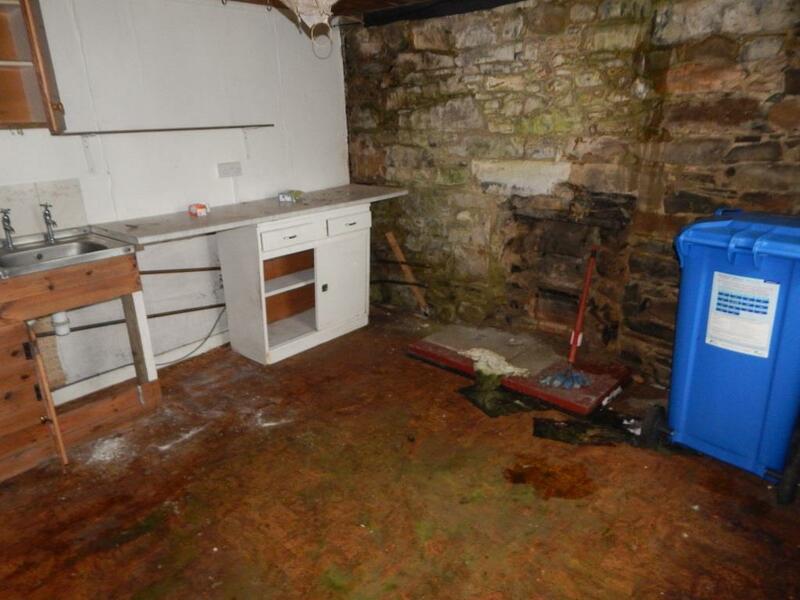 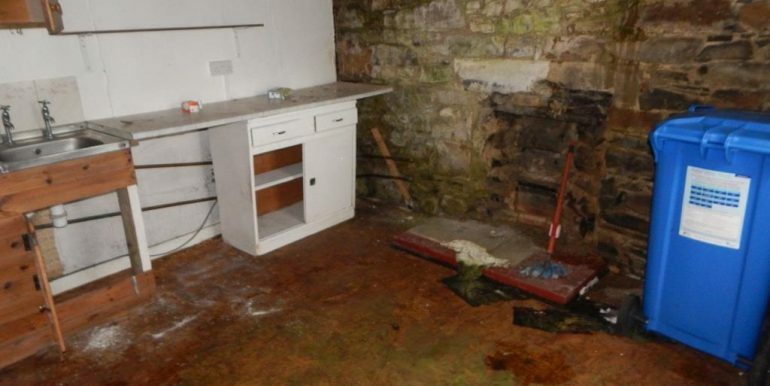 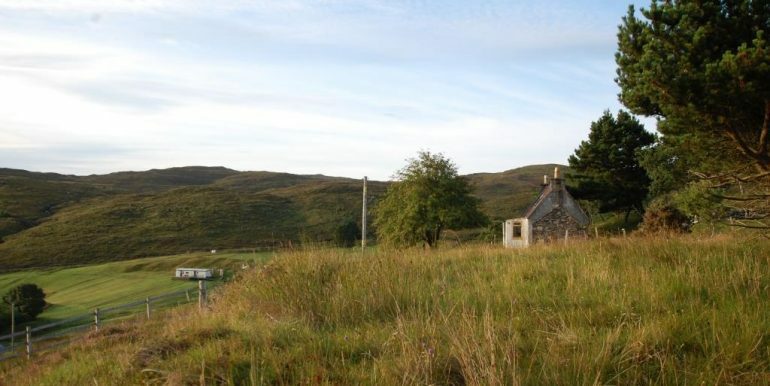 A traditional former croft house in need of complete renovation and upgrading. 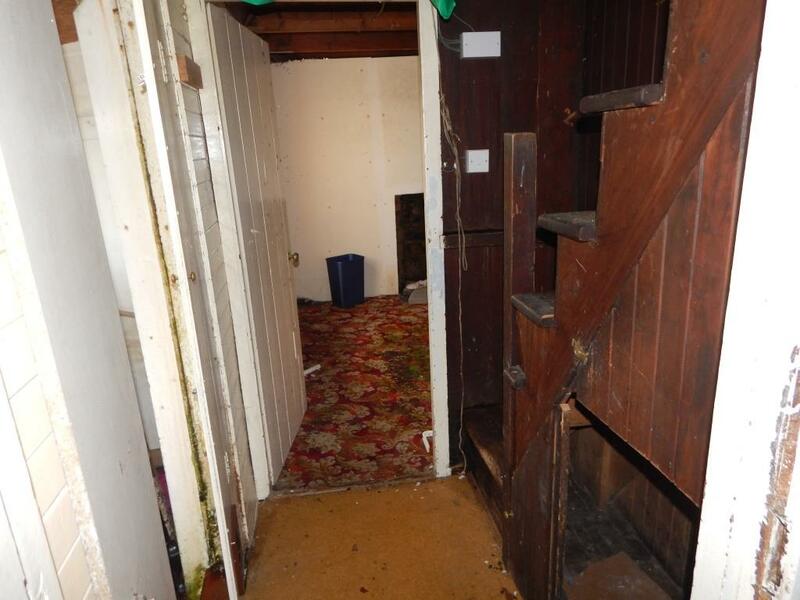 Ground Floor: Entrance Porch, Hallway, Room 1, Room 2 & Bathroom. 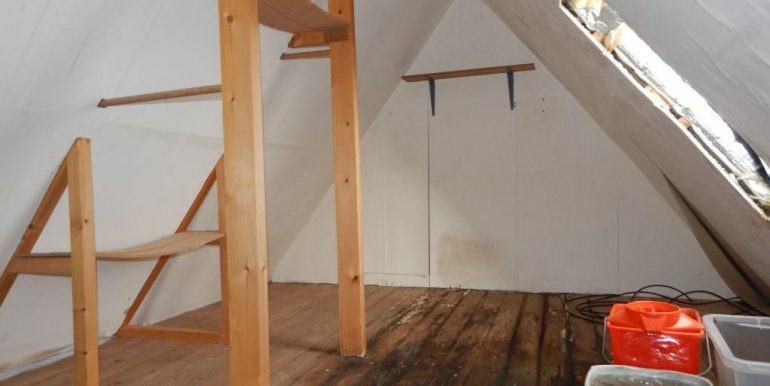 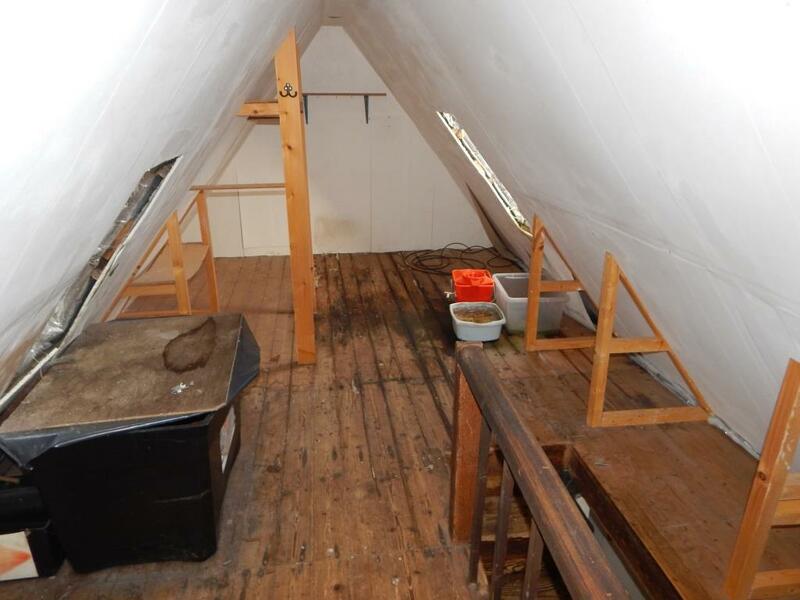 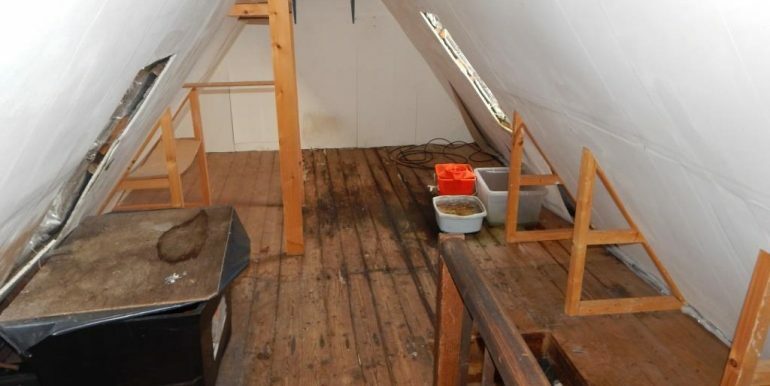 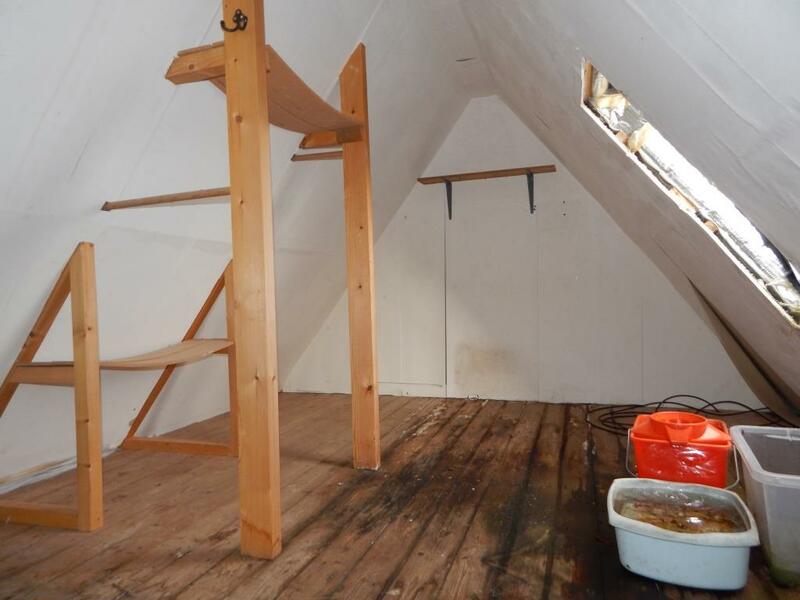 First Floor: Open Plan Attic Space. 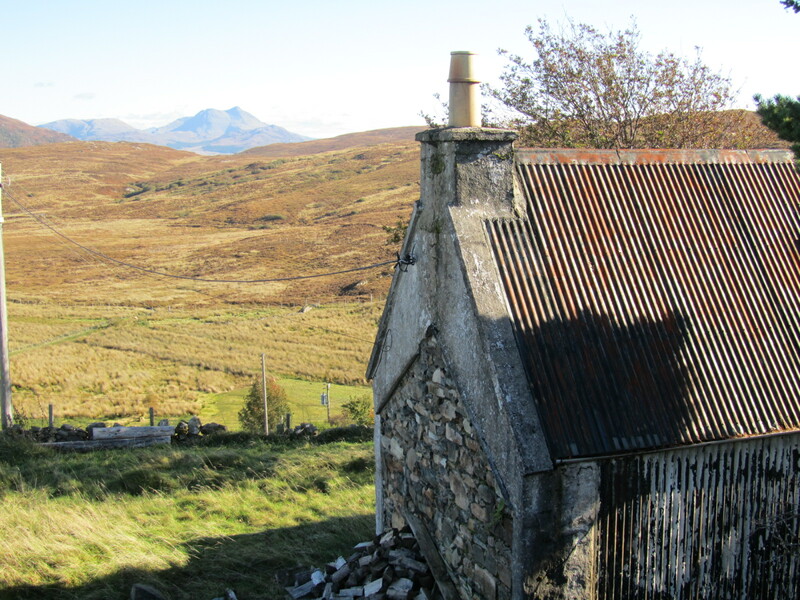 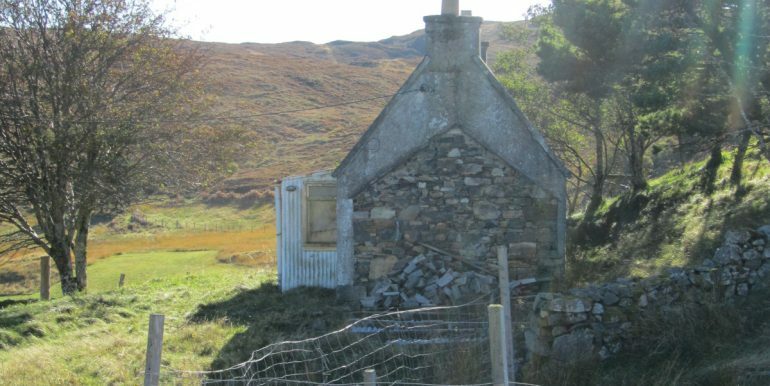 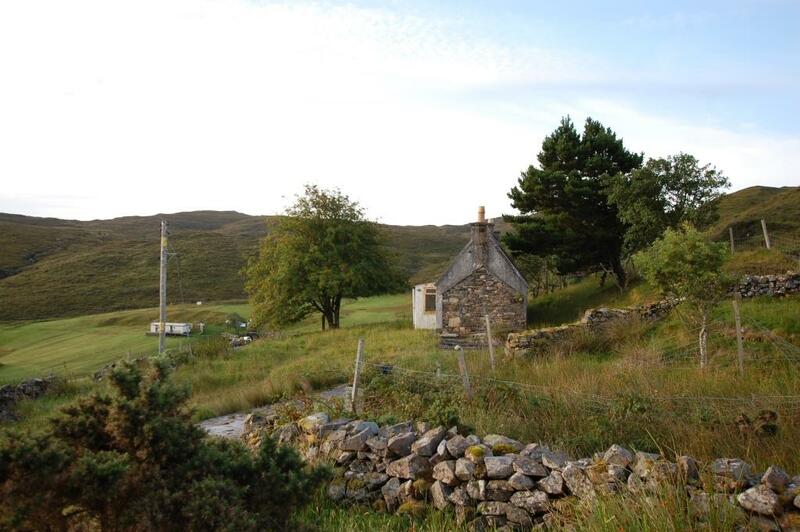 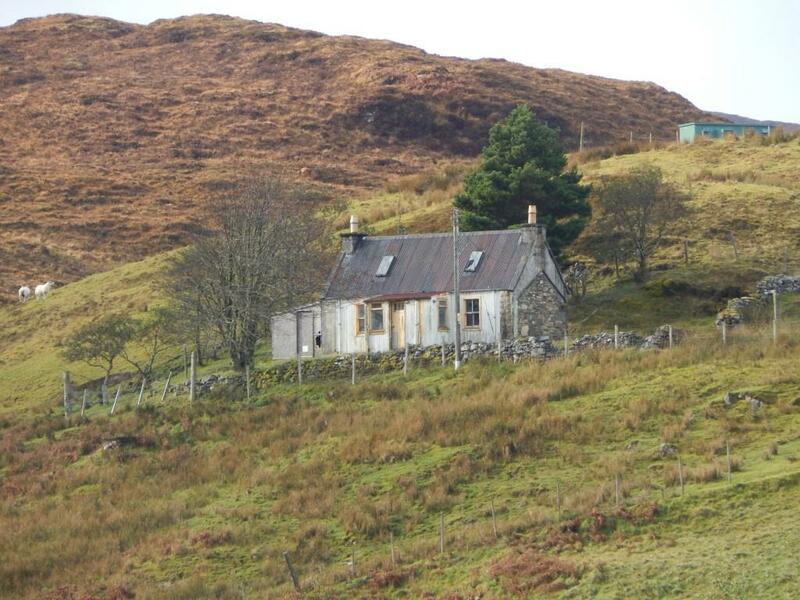 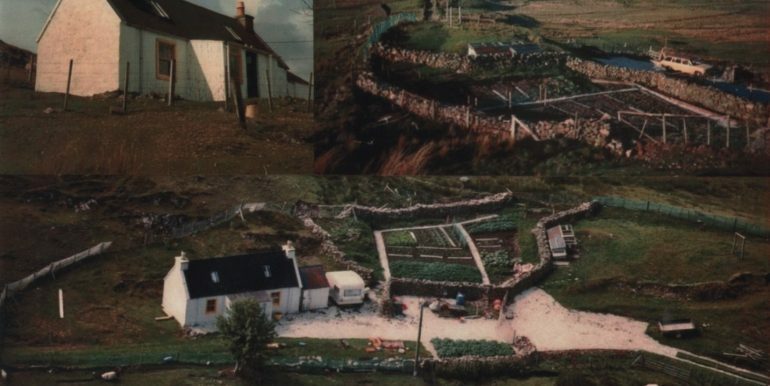 Tigh a Chro is a traditional former croft house in need of complete renovation and upgrading. 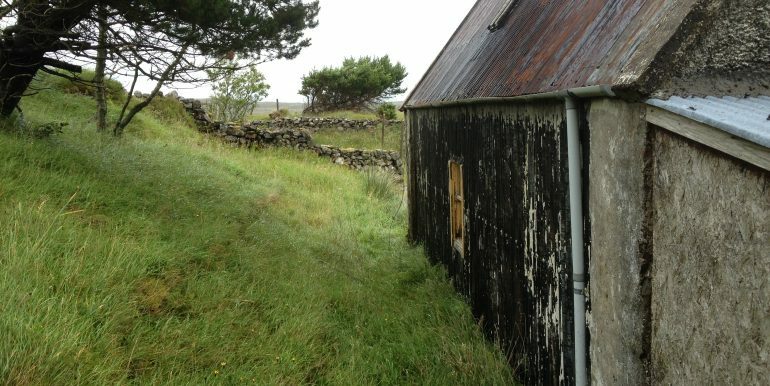 The property has stone gable end walls with corrugated front and rear walls and roof. 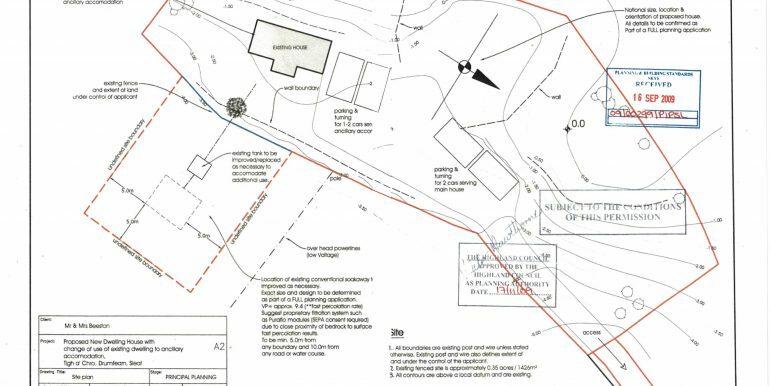 Planning permission in principle was granted in 2009 under reference 09/00299/PIPSL for a new dwelling on the site with the original house to be used as ancillary accommodation. 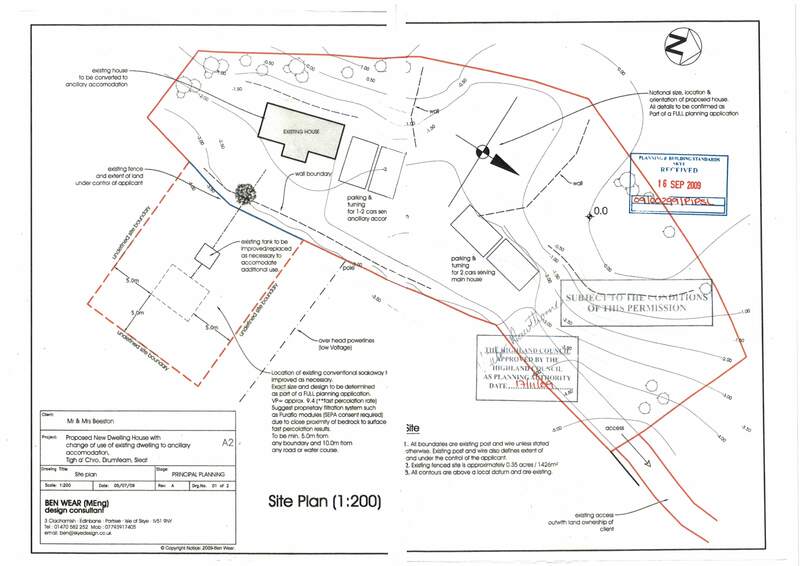 Whilst this permission has lapsed, it is likely that interested parties would be able to redevelop the site subject to the necessary planning consents being obtained. 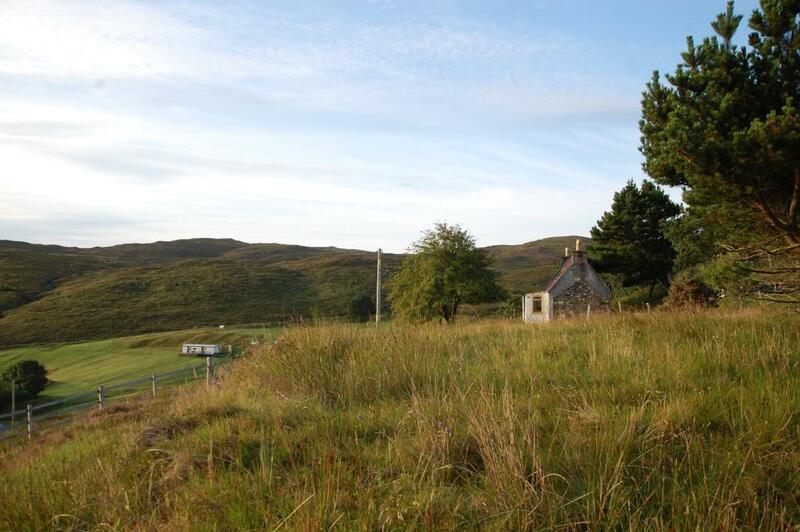 The property sits in a generous garden ground extending to 0.35 acre or thereby (to be confirmed by Title Deed). 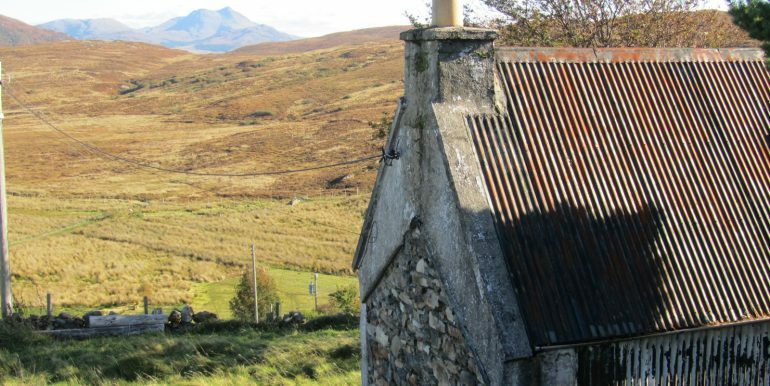 There are panoramic views from the site over the surrounding croft land and from the upper part of the garden there is a view north towards the Cuillins and Loch Eishort. 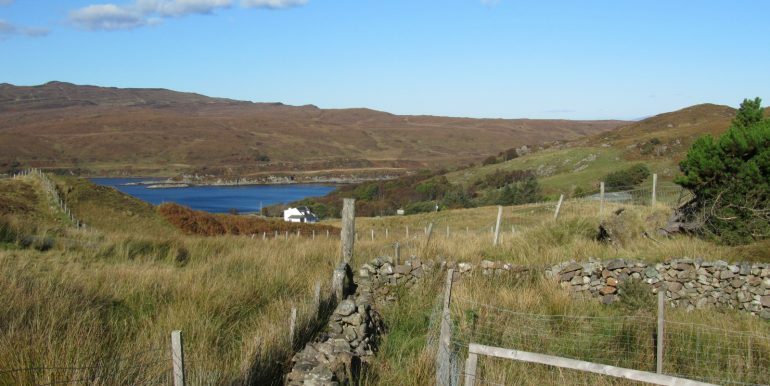 Drumfearn is a traditional crofting township, offering the peace and tranquillity of a rural location but being only 6 miles from the amenities of Broadford and only 10 miles from the Skye Bridge. 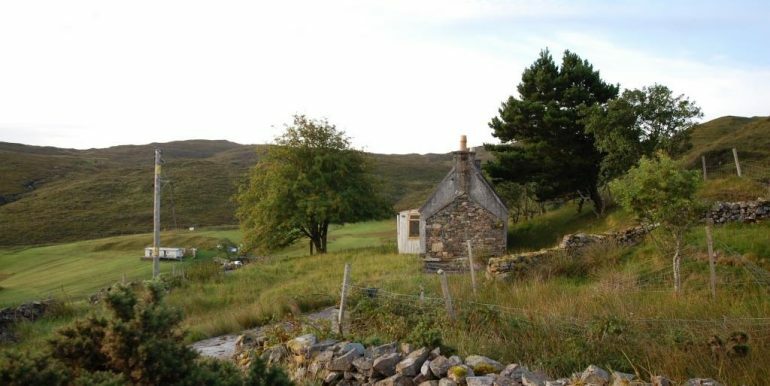 The Sleat peninsula is located in the south of the lsland and is known as the Garden of Skye due to its abundance of trees that are largely absent in other areas on the island. 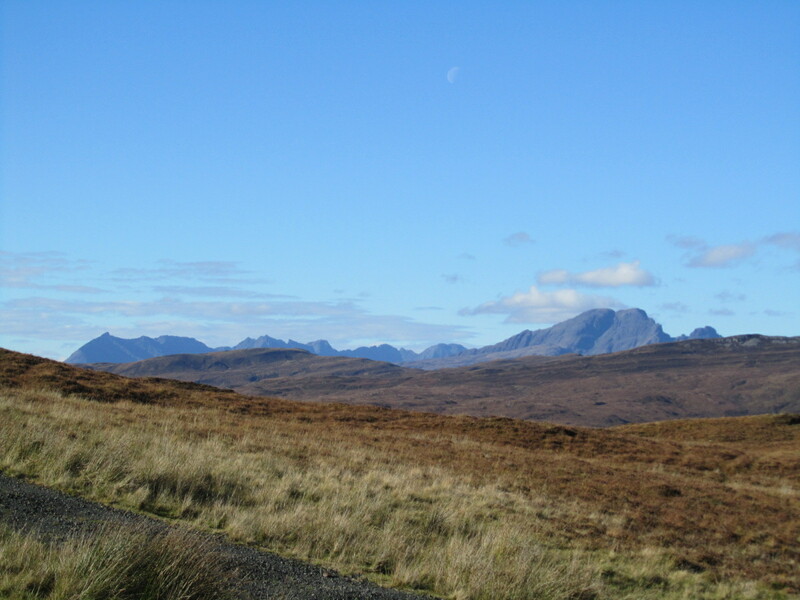 The area is popular due to its spectacular scenery, the variety of walks in the area, its wildlife and its proximity to the Skye Bridge and the mainland. 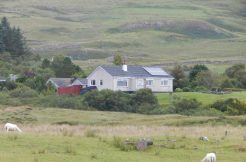 Access to the area has been improved with the end of the toll on the Skye Bridge and the completion of the double track road from Skulamus to Ardvasar. 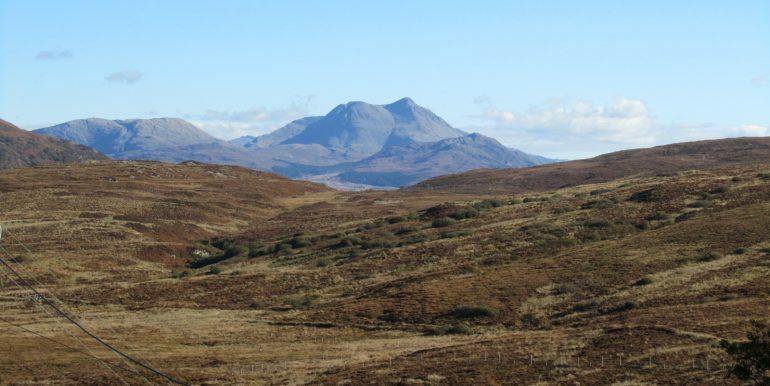 There is also a regular all year ferry service from Mallaig to Armadale. 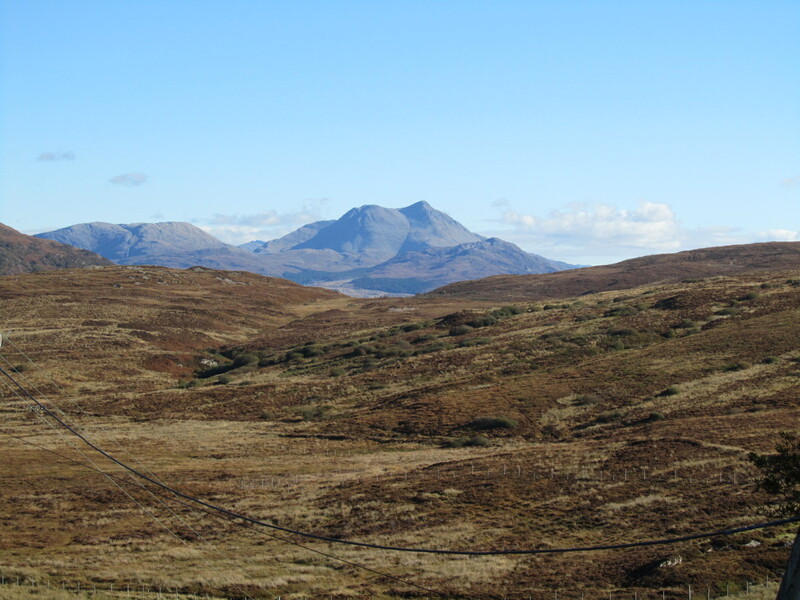 Rail links to Inverness and Glasgow are available from Kyle of Lochalsh and Mallaig. 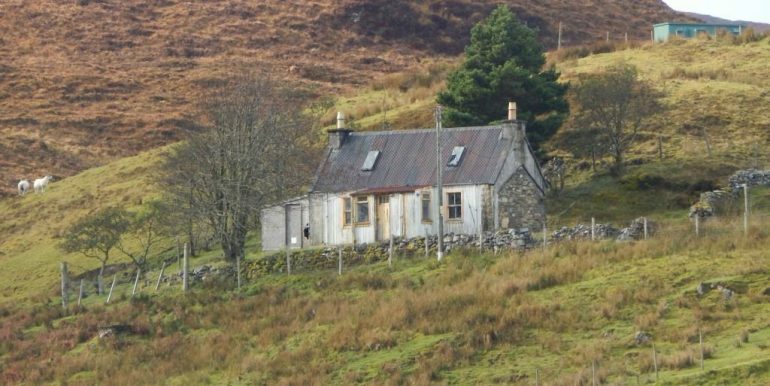 There is a primary school in the area as well as a craft shops, village store at Armadale, petrol station and post office. 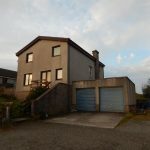 A wider range of facilities are available in Broadford and Kyle of Lochalsh. 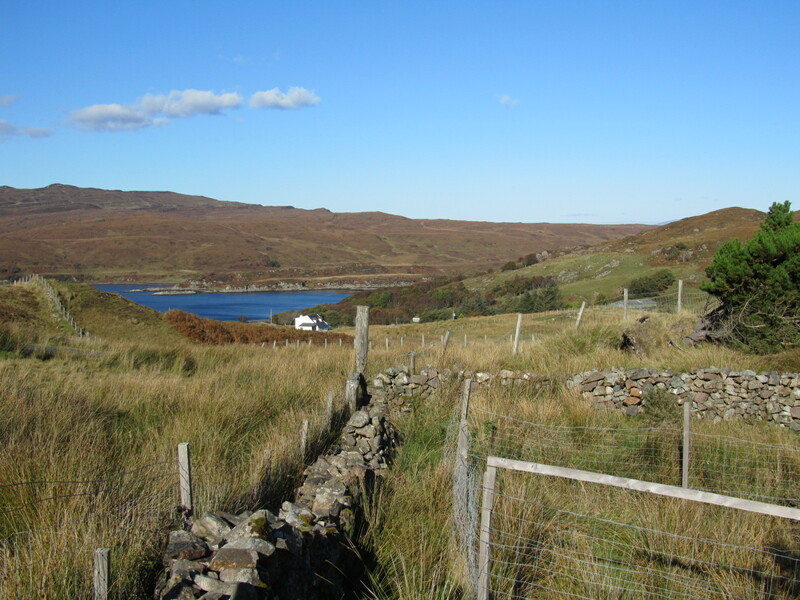 A school bus service is available to take older children to the Secondary school in Portree. 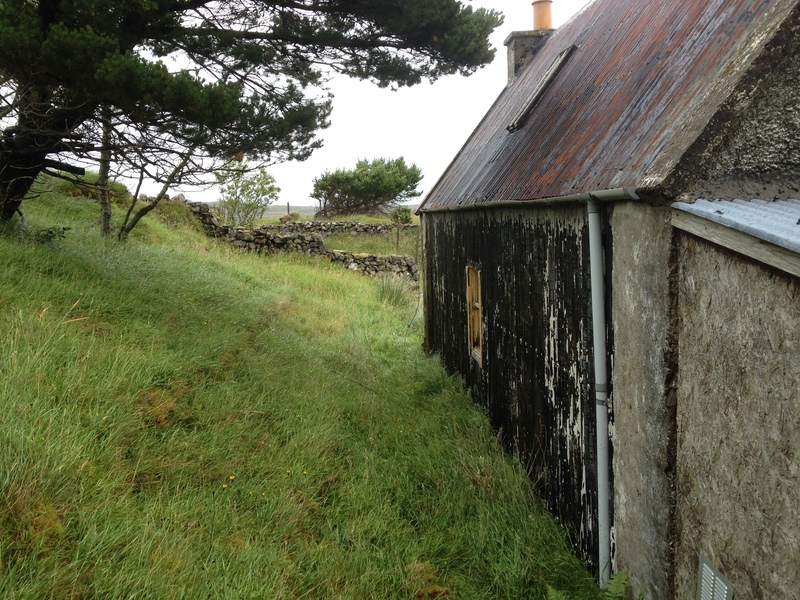 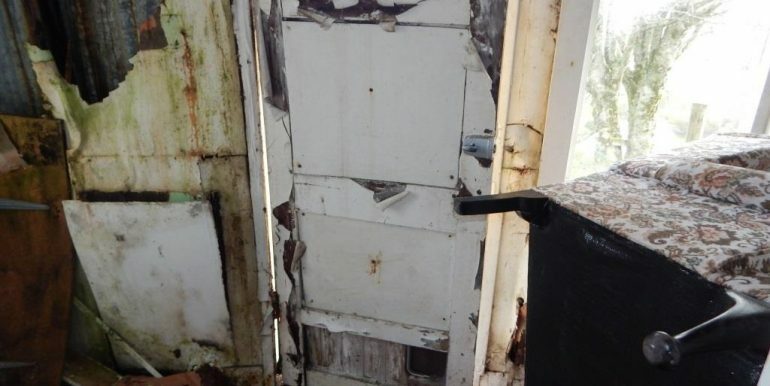 There is a shed to the side of the property although this is also in need of upgrading. 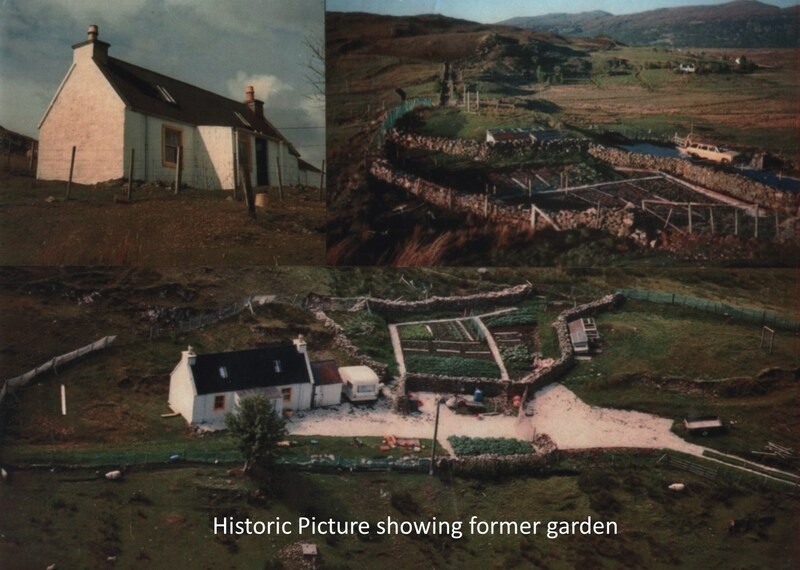 There are a number of dry stone walls within the garden and at one time there was a very productive vegetable patch. 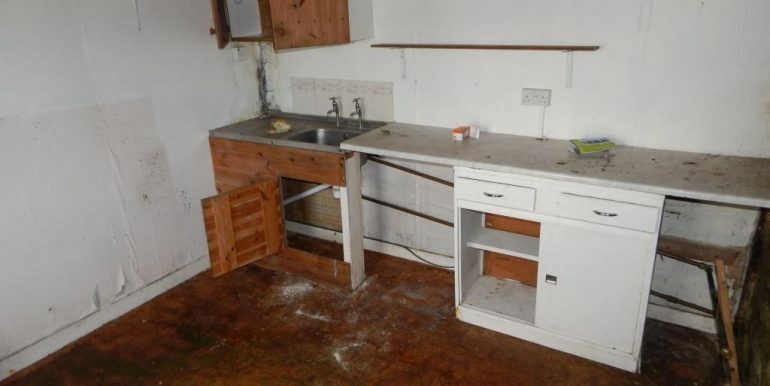 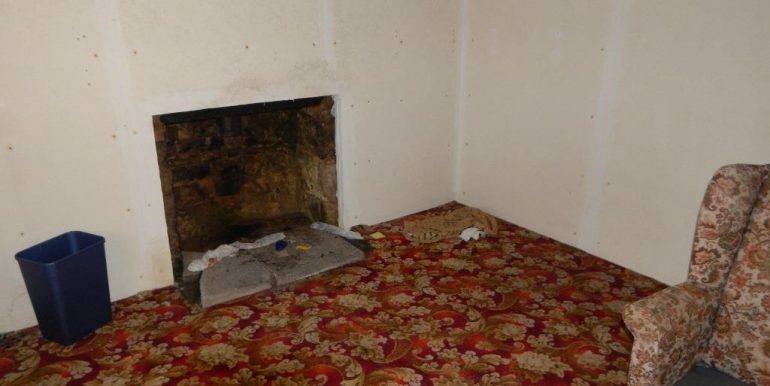 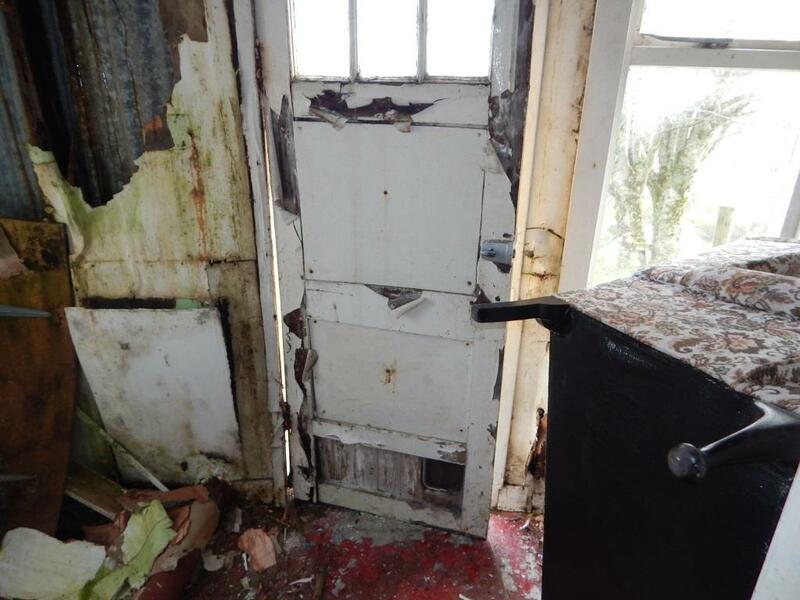 Home Report: As the property is not habitable, there is no requirement for a Home Report. 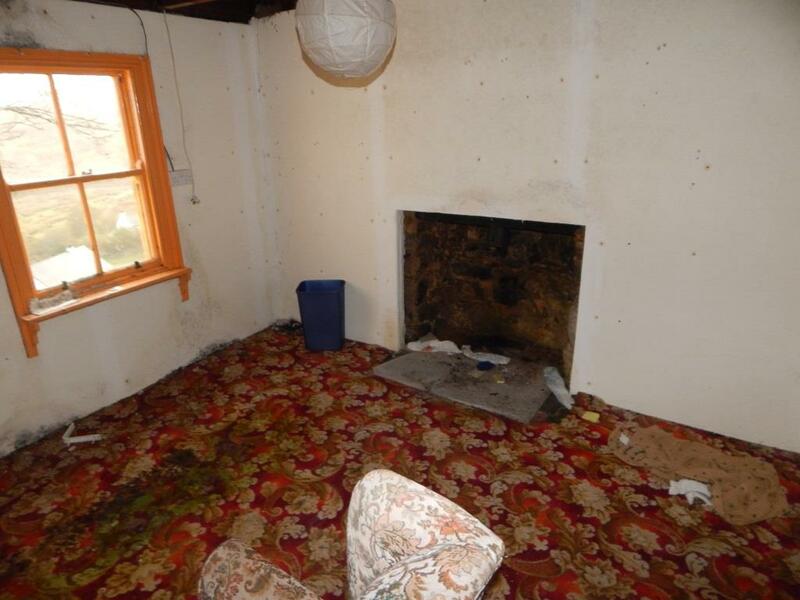 Viewings: Strictly by appointment through this agency. 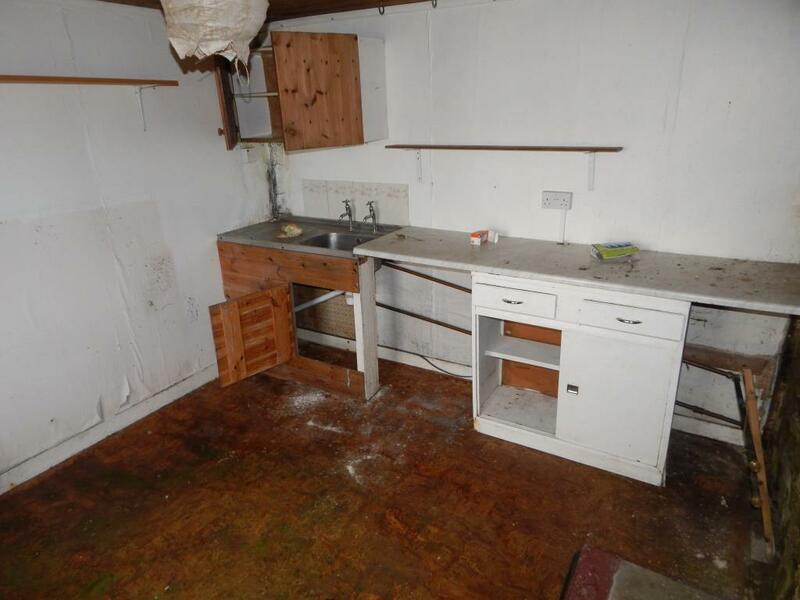 Extreme caution should be taken when viewing this property and you do so at your own risk. 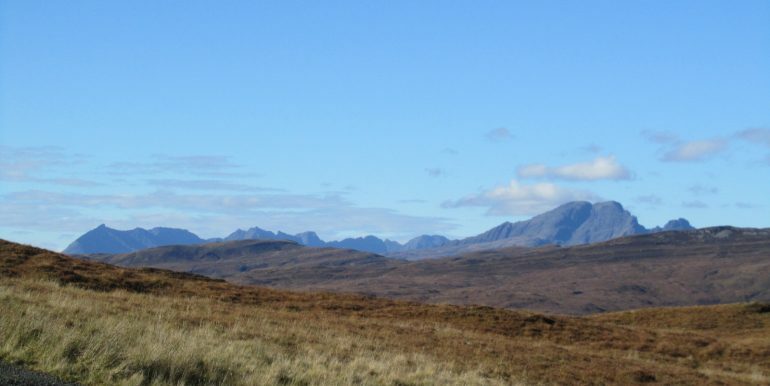 Directions: Head south from Broadford on the A851 towards Sleat/Armadale. 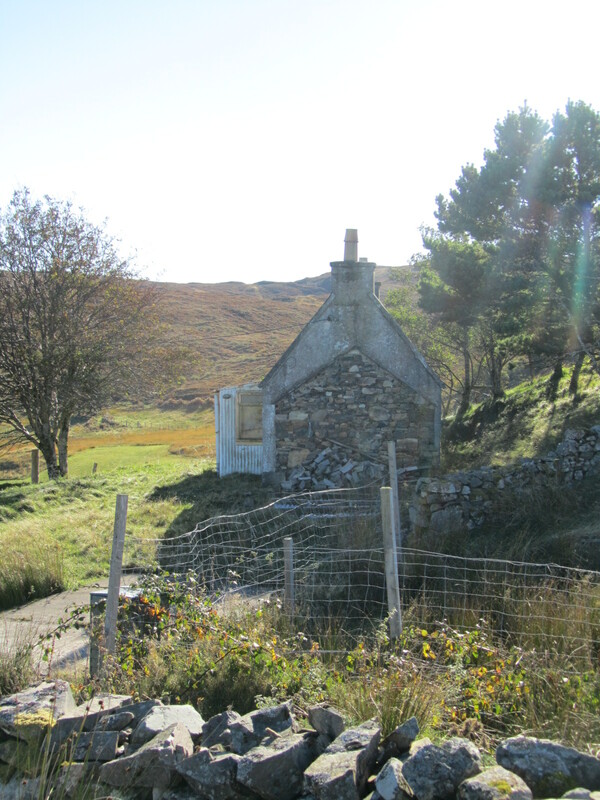 After about 5 miles take the right hand turning signposted Drumfearn. 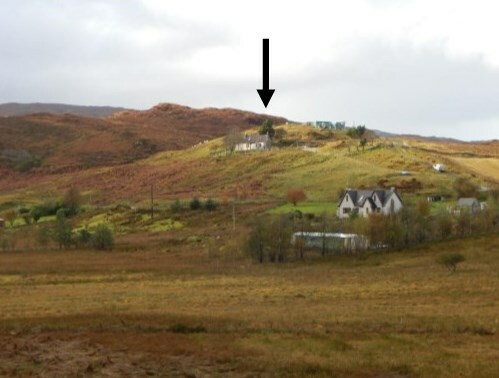 (If you reach the signs for Kinloch Lodge you have missed the turn). 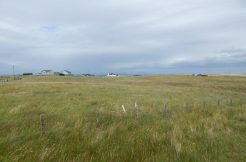 Follow the Drumfearn township road until you see a small left hand turn. 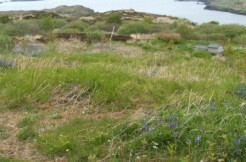 Take this track and Tigh a Chro will be the last property on the track.